Caribbeana: the Journal of the Early Caribbean Society (http://openjournals.neu.edu/caribbeana/cbn/index) published its first issue in 2016 and is accepting submissions for the next issue; please consider submitting an essay before the end of the summer! The journal editor, Nicole Aljoe, also invites proposals for book reviews. 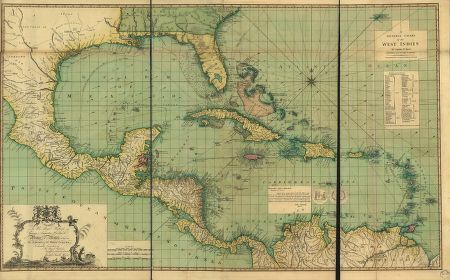 We welcome essays about any aspect of the early Caribbean—defined as prior to 1900. In addition to scholarly essays we are also interested in brief commentary on matters of significant interest to those studying the early Caribbean. More specifically we are seeking contributors for book reviews, and brief essays about pedagogy and compelling archival materials.